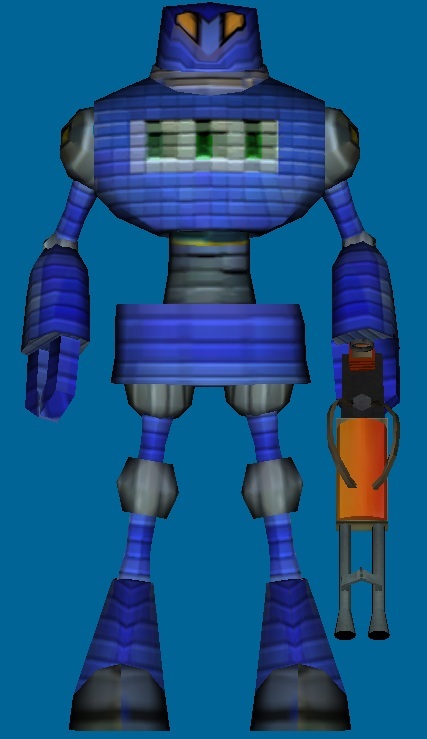 Low poly robot (with laser gun it is 2039 polies) that in general looks menacing. Great for games. 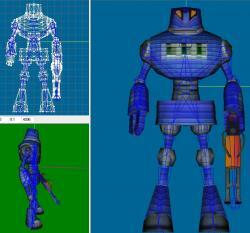 The model is rigged and animated and three formats are included. However, the .obj and .3ds files will not hold the rigging or animation data. If you use it in a game, please mention me in the credits. i used him to test a FPS / A* like system in a language i was evaluating . the original est ws to see if i could use sketchup 8 to quickly make a level , the i wel coded a FPS shell . you robo was perfect for the job . Thanks. Good luck with your project.